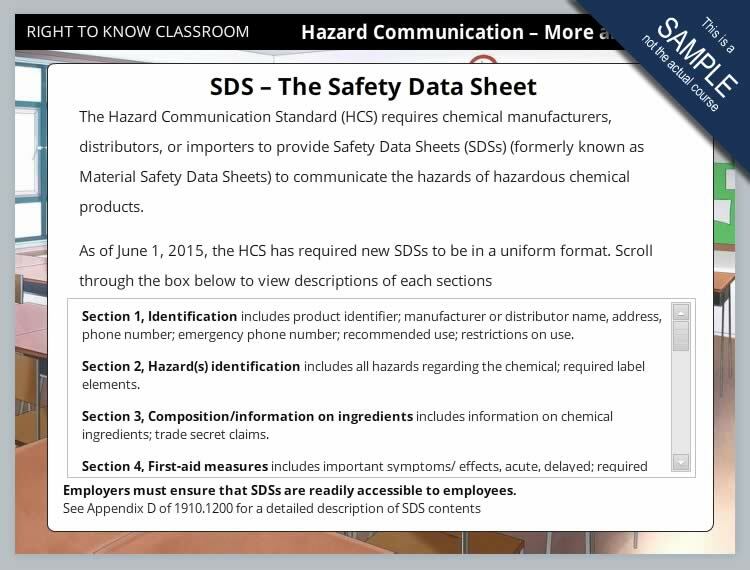 This course and its content have been designed for School Districts to comply with the regulations regarding employees and the information that employees should know about Hazard Communications and Blood-borne pathogens. It is interactive and takes approximately 30-35 minutes to complete. Your School District RTK coordinator must create an account for you linked to a valid email address. You must come to this page and create a PIN for yourself. The PIN will be emailed to your email address. 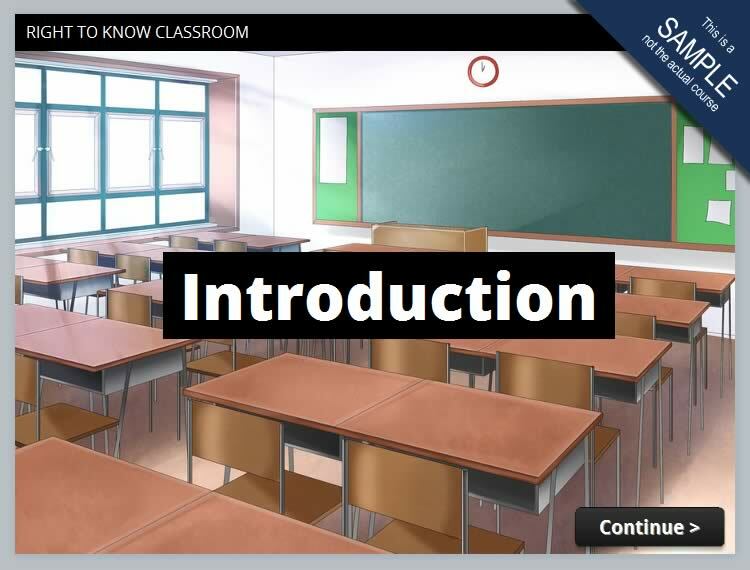 You will return to this page to enter the PIN and launch the interactive course. 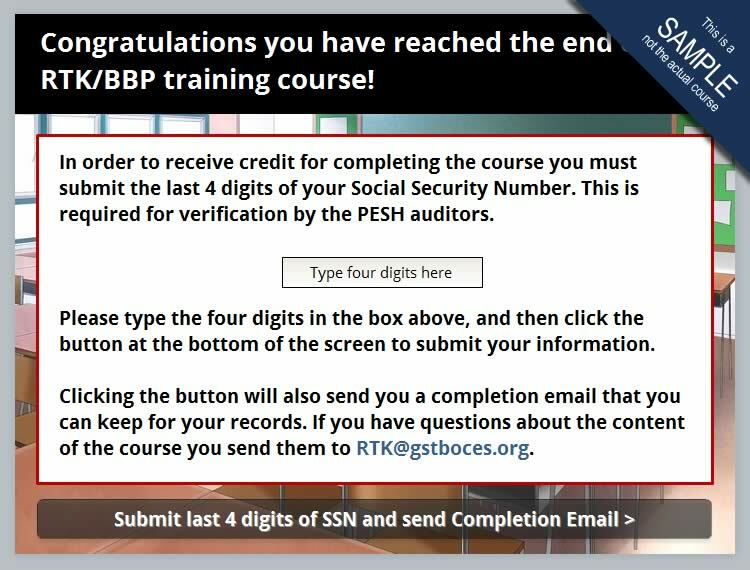 At the end of the course you must enter the last four digits of your social security number for verification by the state auditors. You will receive an email confirming that you have completed the training. The course can easily be finished in one sitting. As mentioned above it takes approximately 35 minutes to complete. However, as you move through the course, your progress is recorded so that, if you need to, you may close out of the course, and return later at the point where you left off. A progress bar is provided below the course to show you where you are in the course. 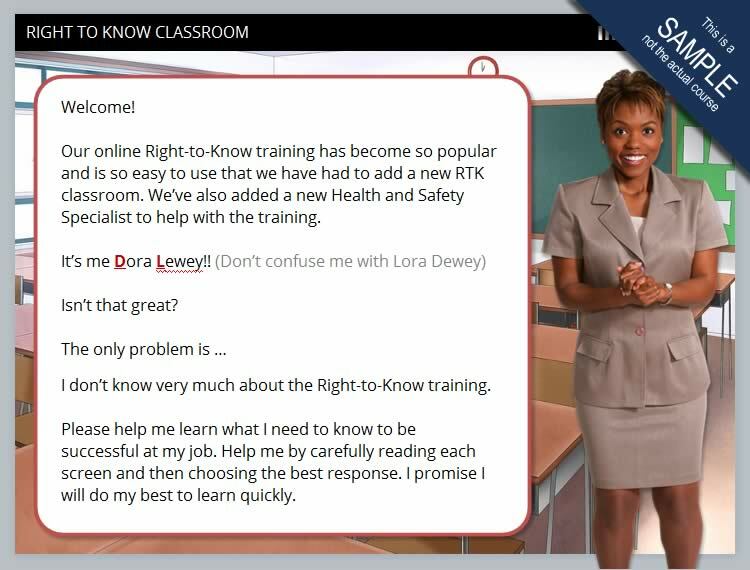 While working through the course content, use the 'Next' and 'Continue' buttons to navigate the course. Most of the screens in the course have narrated audio content. On these screens you will need to click 'Play Audio' and listen to the audio before the 'Next' button appears. You will need to have your speakers on or headphones/earbuds to listen to the content. 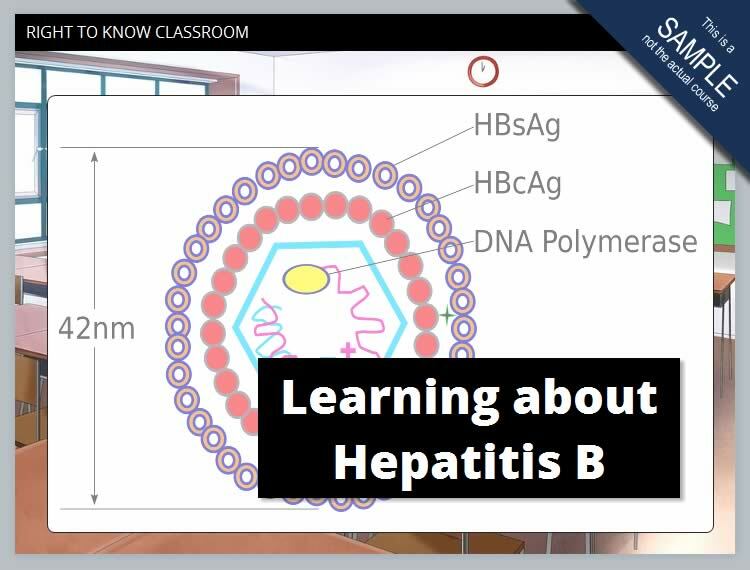 There are some assessment questions presented at various points in the course, you will need to answer the questions correctly to move on to the next screen. 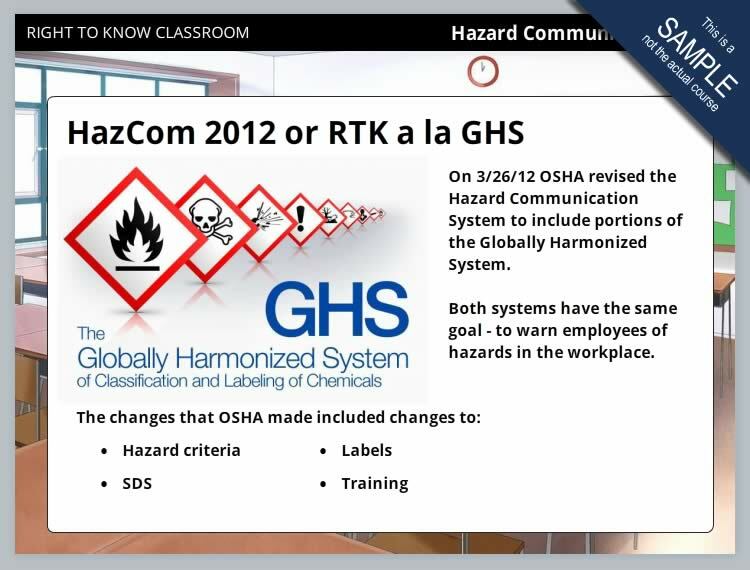 If you have any questions, or require additional information about these topics after you have completed the course, you can email RTK@gstboces.org and you will receive a response from one of the Safety and Risk Management team members. Please Note: We have encountered some problems with the mobile version not properly saving a user's progress through the training. Please use a desktop browser to complete the course to ensure that your data is saved properly. 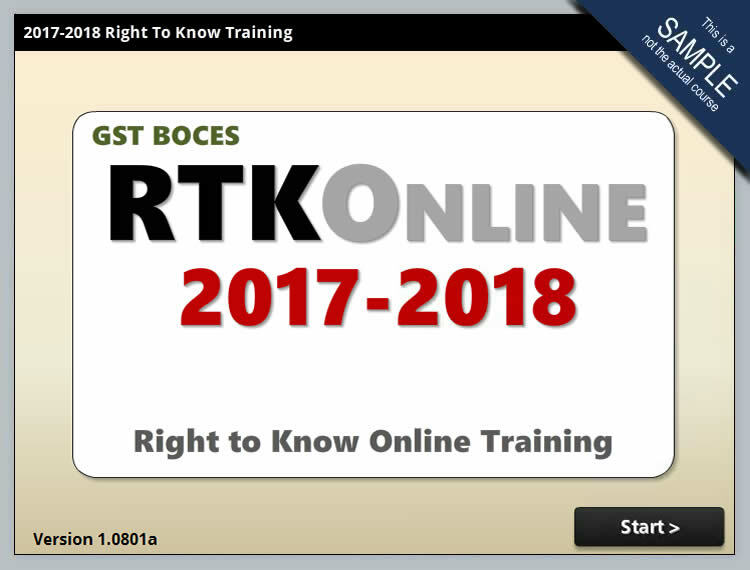 If your district does not use an online RTK program, contact RTK@gstboces.org about contracting to use our program. Help! I have forgotten my PIN! Just use the 'I want to create a PIN' link above to email yourself a new PIN. slideshow of images from the course. 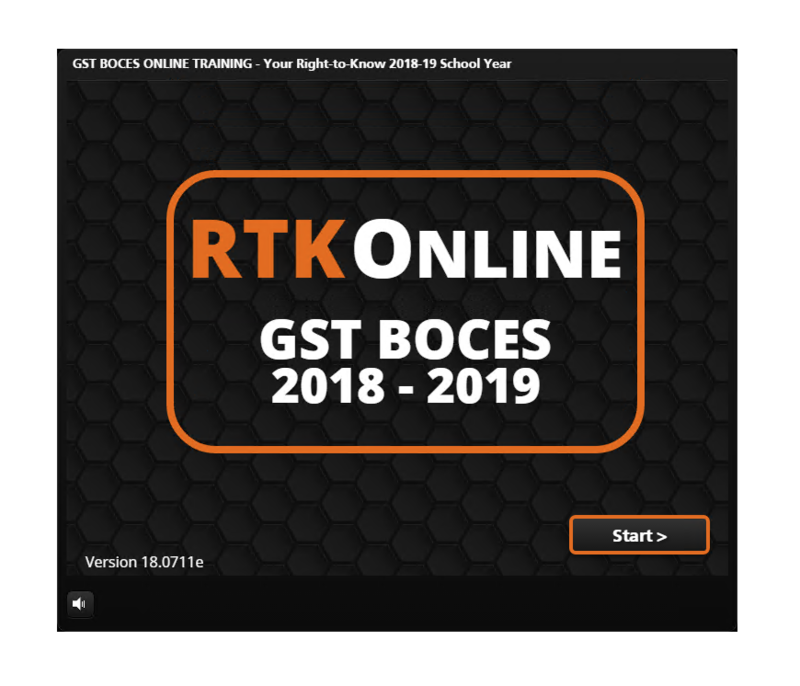 © Copyright 2018-19, GST BOCES Computer Services, All Rights Reserved.